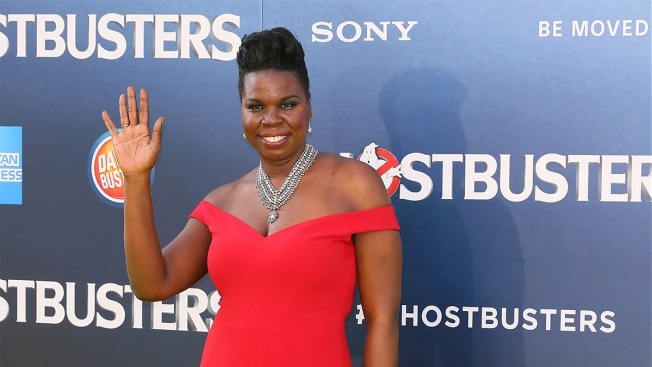 Leslie Jones is joining NBC's coverage of the Pyeongchang Olympics as a contributor, reprising her role from the 2016 Rio de Janeiro Games. Super fan Leslie Jones is returning to the Olympics. The "Saturday Night Live" comedian is joining NBC's coverage of the Pyeongchang Olympics as a contributor, reprising her role from the 2016 Rio de Janeiro Games. The network said Tuesday that Jones will attend Olympic events, meet athletes and spread her enthusiasm for the games on television and online. The games run Feb. 8-25. Jones posted a photo on Twitter of her dressed in red, white and blue gear while working out on an exercise machine with the caption, "Guess What Time It is Y'all!!!!! And Guess Where I'm Going!!!!! Slay All Day USA!!!!!!!" Bell says: "Experiencing the Olympics through the lens of Leslie is unlike anything else. Her passion for Team USA is contagious, and her adventures in South Korea should be fascinating." Jones was an Emmy nominee for "SNL" and hosted last year's BET Awards.